Thank you for deciding to submit your paper to Global Journal of Commerce & Management Perspective . Please make sure you have satisfied the following points on the checklist before submitting your manuscript. If you are submitting a manuscript to a particular Thematic Series, please refer to its specific name in your cover letter. 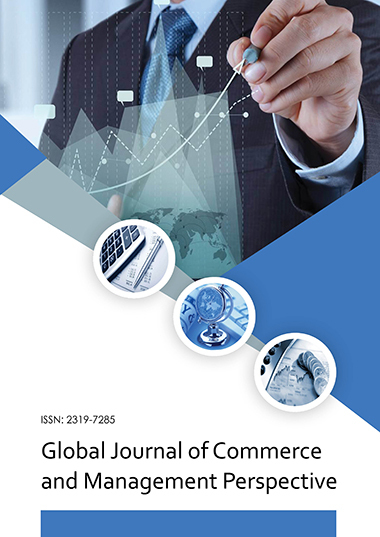 Please make sure to read and follow the detailed Instructions for Authors for Global Journal of Commerce & Management Perspective. Please make sure to provide a cover letter with your submission, explaining why we should publish your manuscript and elaborating on any issues relating to our editorial policies detailed in the Instructions for Authors section, and declaring any potential competing interests. An article publication fee of is payable per Original and Review article and per Case Report, Editorial or Commentary accepted for publication in Global Journal of Commerce & Management Perspective. This fee may be waived, depending on your country, as indicated in About this Journal. The fee must be paid prior to publication.